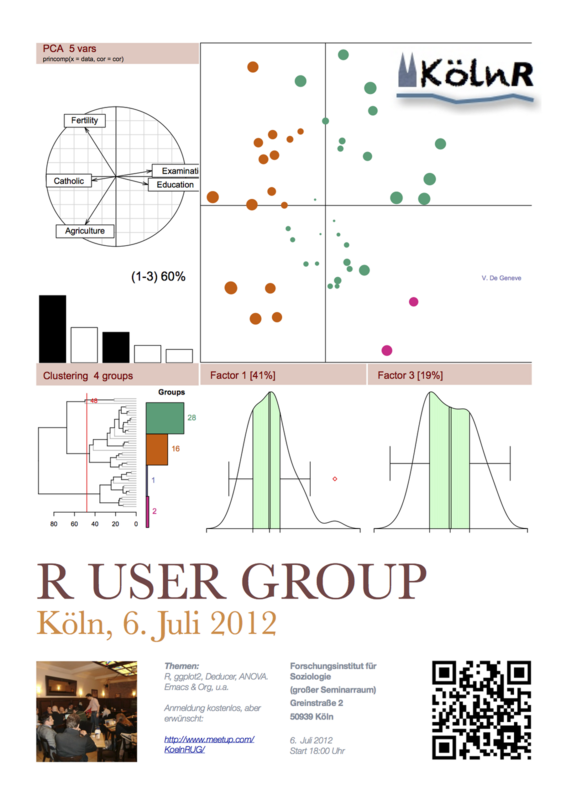 This post is a quick reminder that the next Cologne R user group meeting is only one week away. We will meet on 6 July 2012. The meeting will kick off at 18:00 with three short talks at the Institute of Sociology and will continue, even more informal, from 20:00 in a pub (LUX) nearby. All details are available on the KölnRUG Meetup site. Please sign up if you would like to come along. Notes from the first Cologne R user group meeting are available here.